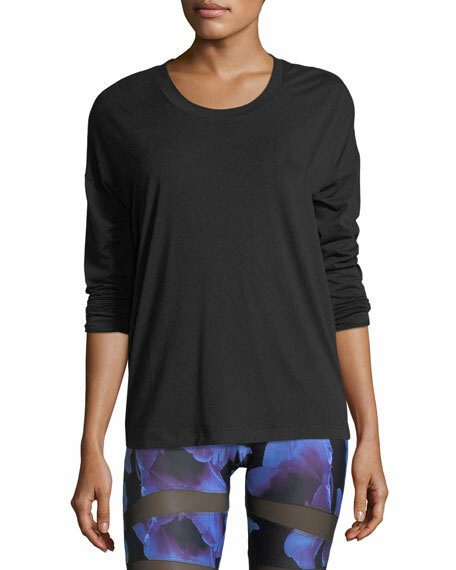 Onzie athletic top in super-soft tri-blend jersey. Braided back design offer style & breathability. Exclusively ours. 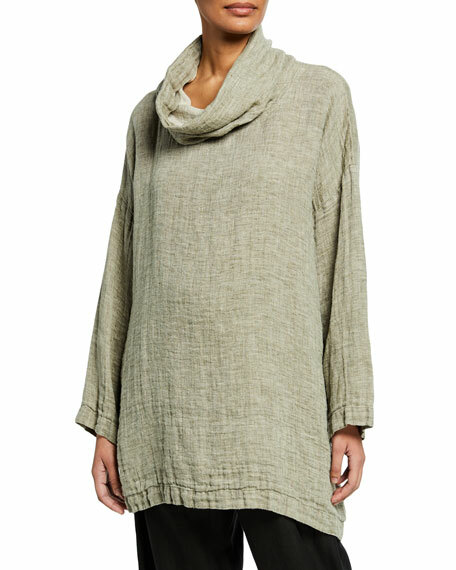 Eskandar monk top in double-sided linen. Cowl neckline. Long sleeves. Wide A-line silhouette. Mid-thigh length. Linen. Made in Poland from Italian materials. Heidi Klein "Puglia" ribbed bikini top. Scoop neckline; ties at center. Removable padding. Ties at mid-back. Nylon/spandex. Imported. Bottoms sold separately. Milly "Ari" microfiber bikini top. Bandeau neckline. Colorful strappy details. Hooks at mid-back. Nylon/spandex. Made in USA of imported material. Bottoms sold separately.